It was finally time, after two years, to pay the area Charlottenburg a visit again. 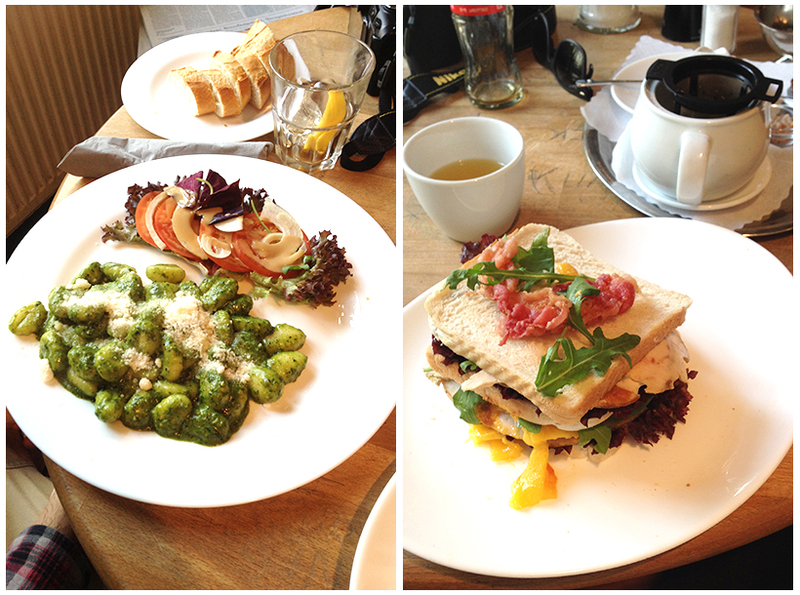 Our main reason was that we really miss Schwarzes Cafe. 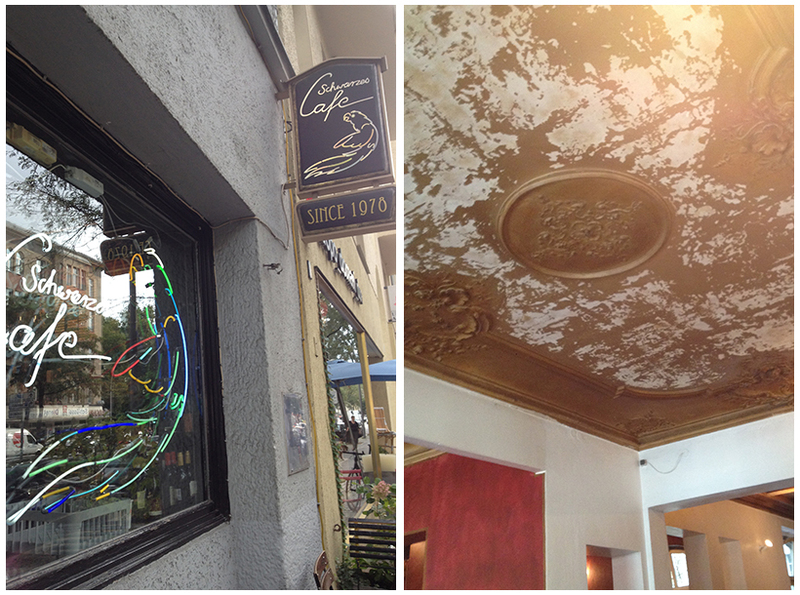 When we lived in Charlottenburg, the cafe was a place where you could find us almost every week. Why? Well, this place is opened 24 hours per day (except for Tuesdays, then they are closed between 3pm and 10pm)! You can come here for breakfast, lunch, dinner and drinks. On Sunday evenings you can even watch the crime show Tatort on a big screen. Their food is simple but tasty. The menu is quite diverse. They serve for example, soup, pasta, salad, curry, sandwiches, spätzle, schnitzel and steak. Definitely an international kitchen. The staff is friendly and asks in between how you are doing and if you like the food. They score big time here! This is not something you see often in not-so-service-minded Berlin. From the outside, the cafe looks small and modest, once you enter the building it’s not like that at all, especially upstairs, there you will find a spacious room with a high ceiling that has brown flaky paint on it. If you are lucky and the weather is good, take the table on the balcony. But don’t worry if this table is taken, you might find an outdoor spot next to the entrance or in their yard. 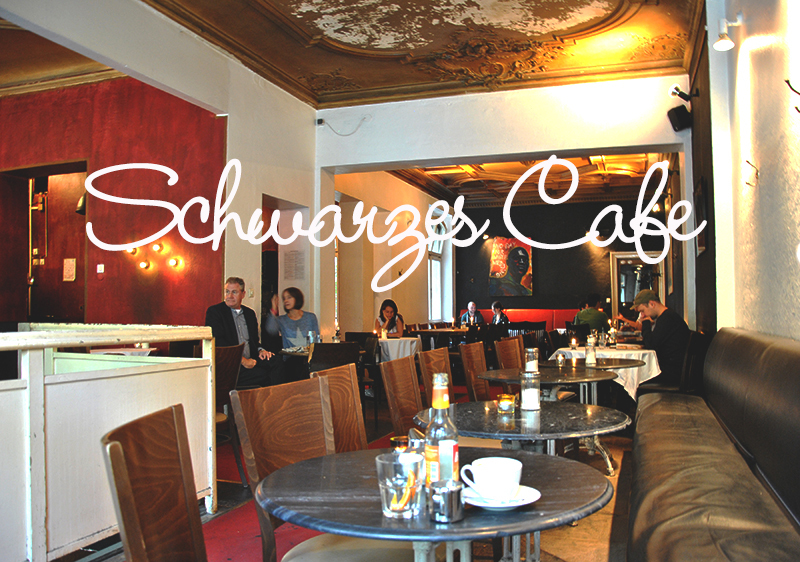 I highly recommend Schwarzes Cafe, it’s a place where young and old feel right at home. 24 hours, except on Tuesday from 3:00 till 10:00 hours. Well, well… I’ll just have to try that one out, won’t I!